This week’s new DVD releases appear to be more TV oriented than film. In fact, there doesn’t appear to be a new mainstream film released this week on either DVD or Blue-Ray. Below are a few selections of new DVDs for the home market either for purchase or rent. 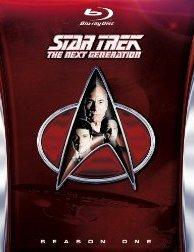 For Blu-Ray fans, Star Trek: The Next Generation Season One is now on the shelves, released today (Tuesday, July 24th). The box set consists of 6 discs and covers the episodes originally aired between 1987 and 1988. Obviously if you’ve read this far I would assume you’re already a Trek fan. For me, the feature length pilot episode Encounter at Farpoint never worked, but once the season continued things went from strength to strength. Has there ever been a finer Captain than Patrick Stewart’s Jean Luc Picard? Discuss. 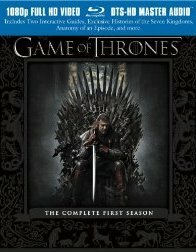 Also from TV, released on both DVD and Blu-Ray is Game of Thrones, season one. The box set consists of 5 discs and comes with a ton of Extras including audio commentaries to the episodes and small documentaries including From Book to Screen, Creating the Dothraki Language and Inside the Night’s Watch. The series ran on HBO from April 2011 to June 2011 and consisted of 10 episodes that ran 55 minutes each. 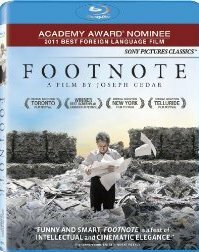 Footnote is a 2011 drama from Israel that centers on a problem relationship between a father and son who both teach at the Hebrew University of Jeruasalem. The film was Israel’s entry for the 84th Academy Awards, but lost to Iran. Naturally, with a theme of academic rivalries in the world of Talmudic studies, Footnote will have limited appeal outside of its art house audience, but writer/director Joseph Cedar presents his story with such an exciting visual manner you may find yourself surprisingly enthralled.